Voting began on Thursday morning ( April 24) in all 39 Lok Sabha constituencies in Tamil Nadu. We have the pictures of superstars who were first to cast their votes. We have already seen the likes of Rajinikanth, Kamal Haasan, Ajith, Vijay and Gauthami at the polling stations. The latest entrants are Hansika, Trisha, Sivakarthikeyan, Anirudh, Jiiva and others who said that they have done their democratic duty and asked the people of Chennai to go out and vote. The voting for the sixth phase of the Lok Sabha polls (2014) has begun today (24 April). In what is being termed as the second biggest phase of the current elections, voting will be taking place in 117 constituencies across 11 states and one union territory. The 11 states include Tamil Nadu, Maharashtra, Madhya Pradesh, Uttar Pradesh, Bihar, Chhattisgarh, Assam, West Bengal, Rajasthan, Jharkhand, Jammu and Kashmir, while Puducherry being the union territory. In Tamil Nadu, voting began as early as 7 a.m. for 39 constituencies such as Arakkonam, Arani, Chennai North, Chennai South, Chennai Central, Coimbatore, Cuddalore, Chidambaram, Dindigul, Dharmapuri, Erode, Kallakurichi, Kancheepuram, Karur, Kanniyakumari, Krishnagiri, Madurai, Mayiladuthurai, Nagapattinam, Namakkal, Nilgiris, Pollachi, Perambalur, Ramanathapuram, Sriperumbudur, Sivaganga, Salem, Tenkasi, Thanjavur, Theni, Thiruvallur, Thoothukkudi, Tiruchirappalli, Tirunelveli, Tiruppur, Tiruvannamalai, Vellore, Viluppuram and Virudhunagar. 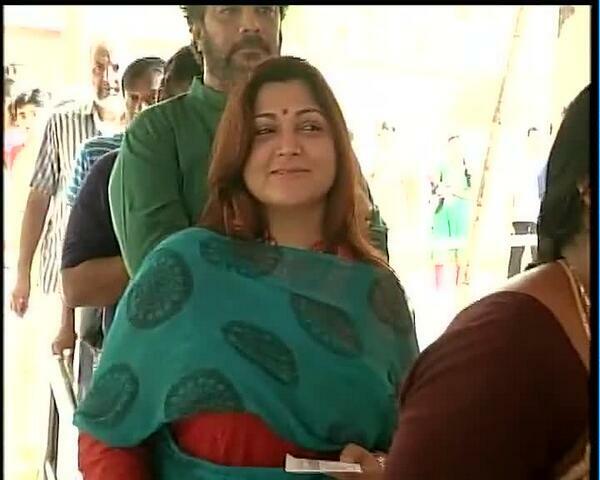 Besides politicians and the public, several Kollywood celebrities cast their votes in Chennai. Superstar Rajinikanth cast his vote at Stella Mary's college, while Kamal Haasan and his partner Gauthami visited the polling booth at El Dams road and voted. After exercising his vote, Kamal reportedly left for Bangalore to resume shooting for his upcoming film "Uttama Villain." "Thala" Ajith, wife Shalini and his family members were among the firsts to visit the polling booth at Kottivakkam and cast their votes. "Ilayathalapathy" Vijay exercised his vote in Adayar. 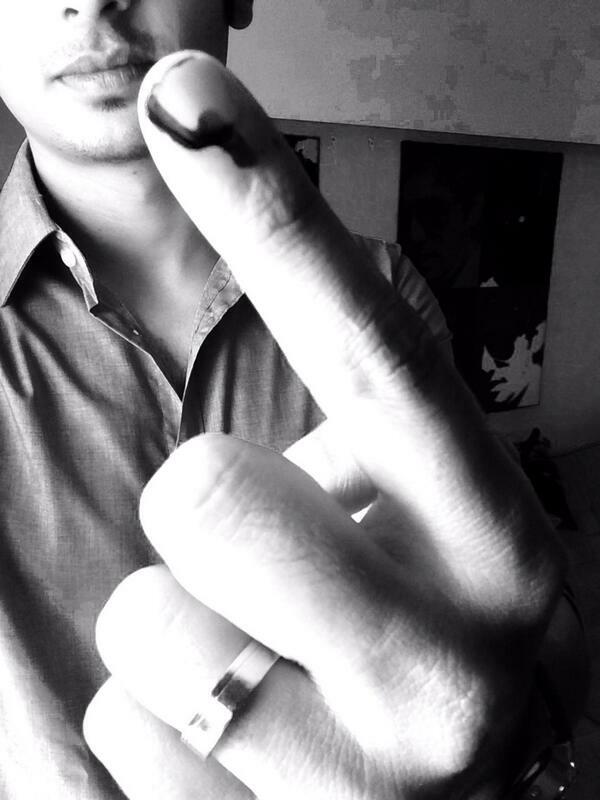 Actor jiiva voted and says, "Use your finger correctly!" in his twitter page. "Anjaan" actor Suriya will reportedly be casting his vote today afternoon at T Nagar. Many other stars are also expected to vote during the course of the day. The election commission of India is hoping for 80 percent turnout in the current elections in Tamil Nadu, reported the Times of India. The state will be witnessing an engrossing four-cornered fight between the AIADMK, DMK, Congress and the BJP-led NDA alliance.